Winchester Model 70 XTR .243 Win. NIB (Mfg 1979) !!! 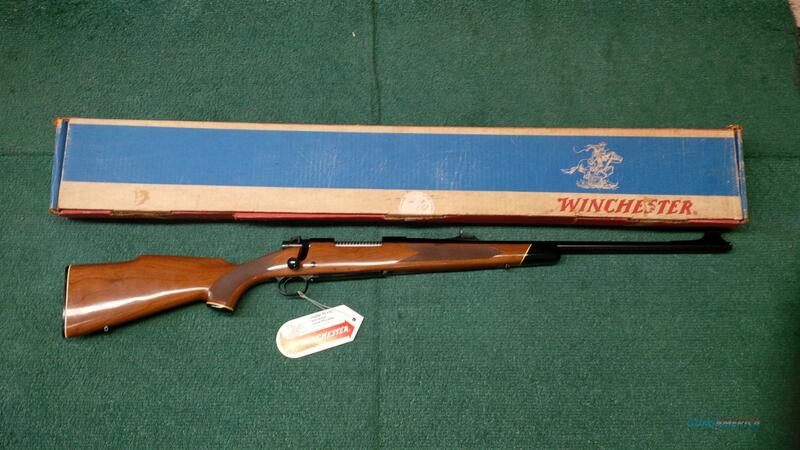 Description: Here is a rare opportunity on a NEW IN BOX Winchester model 70 XTR .243 Winchester caliber!! This rifle was manufactured in 1979 based on serial # G14226XX. Comes with folding rear leaf sight and shielded front sight. Original hang tags and all paperwork with original box from Winchester. Barrel length 22 inches, drilled and taped for a scope from the factory. Won't find another like this, a new in box same model same caliber sold for $1795 on another sight. This is a great deal at $1650. No disappointments here, your satisfaction is guaranteed! As always thank you for your interest in our listings!